One of the hottest selling toys and collectables of all time, Barbie™ doll was unveiled to the world by Ruth Handler, joint founder of Mattel, at the 1959 New York Toy Fair. Barbie's™ original outfit was a black-and-white striped swimsuit. As a teenage fashion model she epitomized 1950s glamour with her ponytail, hoop earrings and vintage sunglasses. 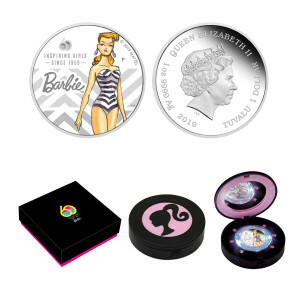 An international collecting craze across 150 countries, Barbie™ offers enthusiasts constant progressions in style, sophistication and, with the latest Barbie™ Fashionistas, body types, skin tones, eye colors and hairstyles. Sixty years after her debut, Barbie™ remains not just a best-selling children's pastime, but also a remarkable collectable. 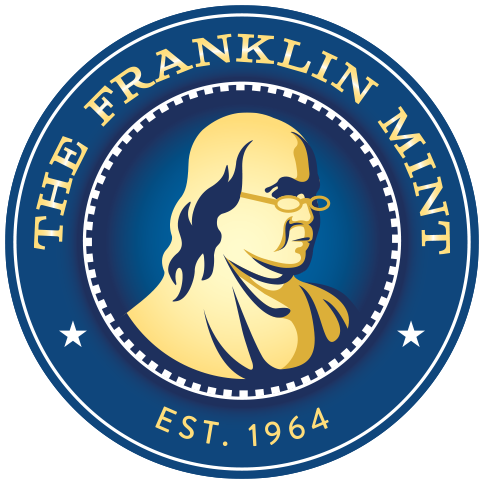 Struck by The Perth Mint from 1oz of 99.99% pure silver, the coin is issued as legal tender under the authority of the Government of Tuvalu. 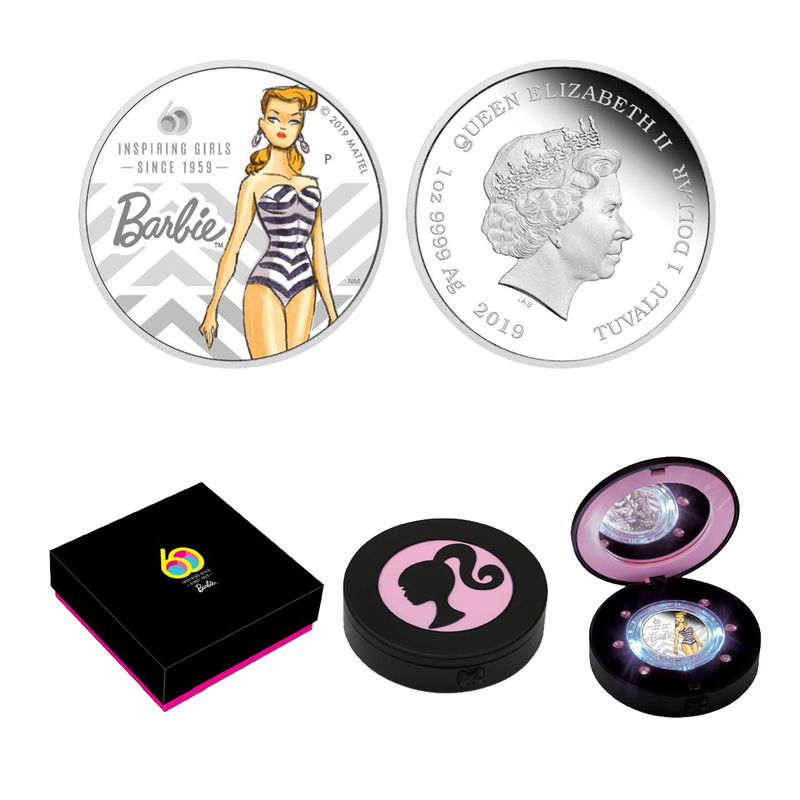 The Perth Mint will release no more than 5,000 of the Barbie 60th Anniversary 2019 1oz Silver Proof Coin.